The conversations for #plearnchat on 7/27/17 involved Chapters 7 and 9 of How to Personalize Learning. 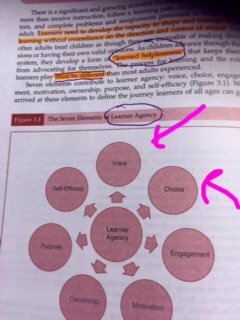 Chapter 7 "Delve into Deeper Learning" is about how learners use voice and choice to develop agency. Here's an overview of that chapter from page 113, "When learners have agency, they are taking ideas and concepts deeper. The learning environment changes. 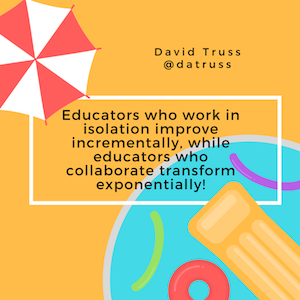 The culture and climate in the classroom changes. Yet these changes do not happen right away." 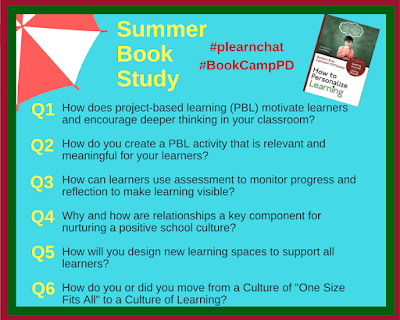 Chapter 7 provides strategies to go deeper by incorporating the process of project-based learning (PBL). "PBL activities serve as a strategy to allow learners to play, experiment, do meaningful tasks, and collaborate with peers and community members on local and global issues." 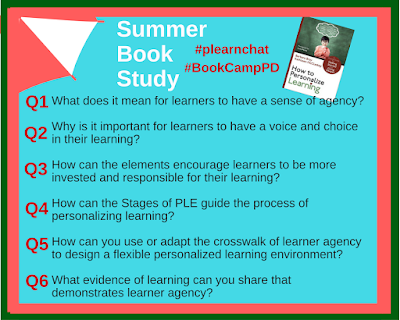 p. 115 There are planning forms, templates, activities, stories, and tips for PBL. Chapter 9 "Create a Culture of Learning" is about building a positive culture based on trust and respect. 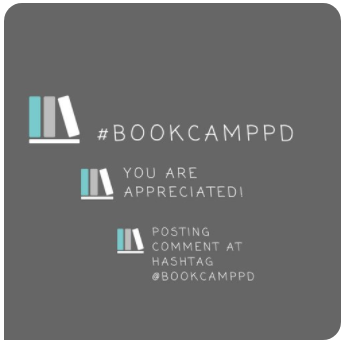 On p. 149, there is a description about "when you walk into a school, you can get a feel for the culture just by listening and seeing what is happening in the halls, classrooms, and faculty room." 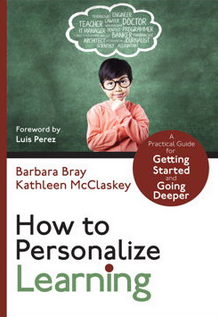 This chapter explains why relationships between personal needs and school practices matter. 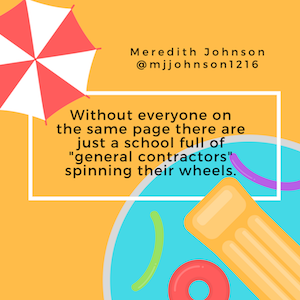 There are culture building activities, stories, and tips. deeper learning and builds a positive culture?" 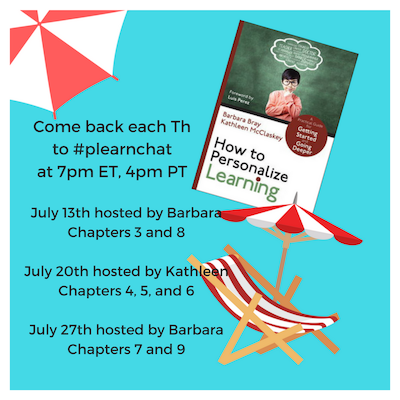 Discussions were lively and #plearnchat was trending with all the tweets. This was fun and some didn't want to stop. Below are just a few of the quotes and graphics from tweets that were retweeted multiple times. "Find a connection to a problem, even a global problem, to be solved. 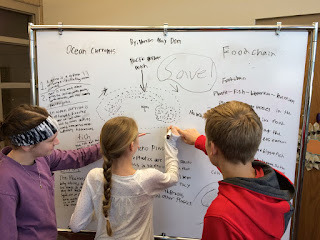 The #designthinking process with Ss white boarding!" 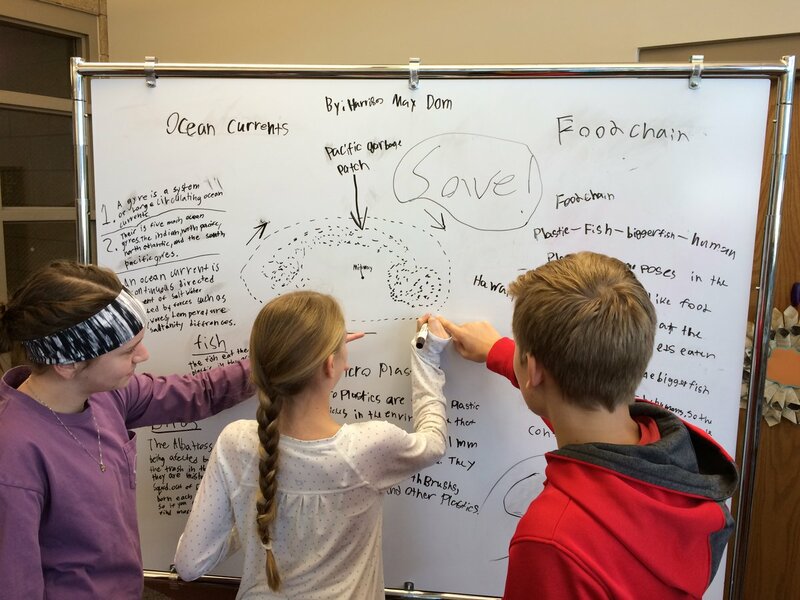 "My community problem solvers club is pursuing an evolving PBL, tackling local invasive species problem. 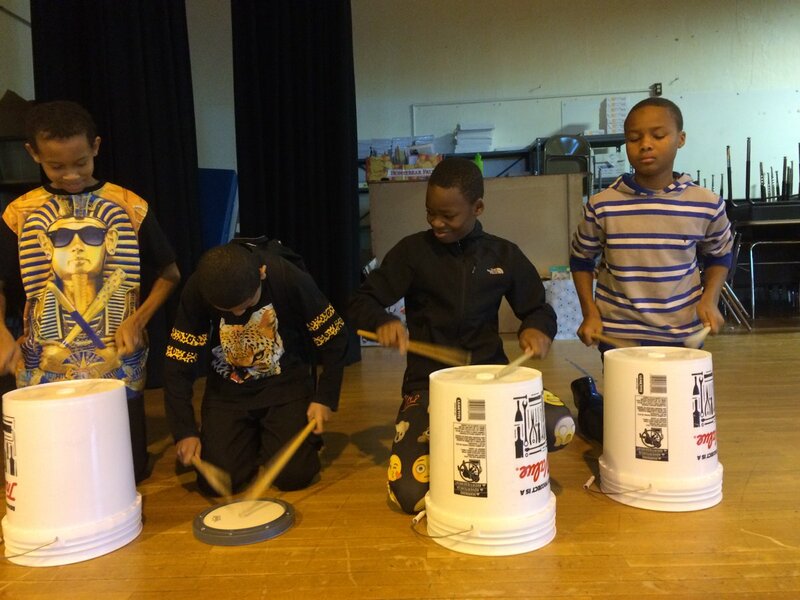 High level of student engagement." 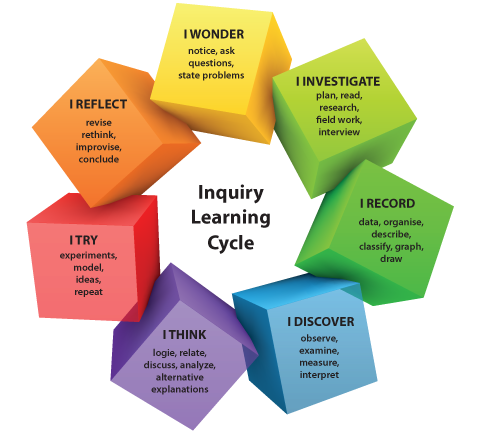 "The Inquiry Learning Cycle can be used for personalized, passion-driven learning." 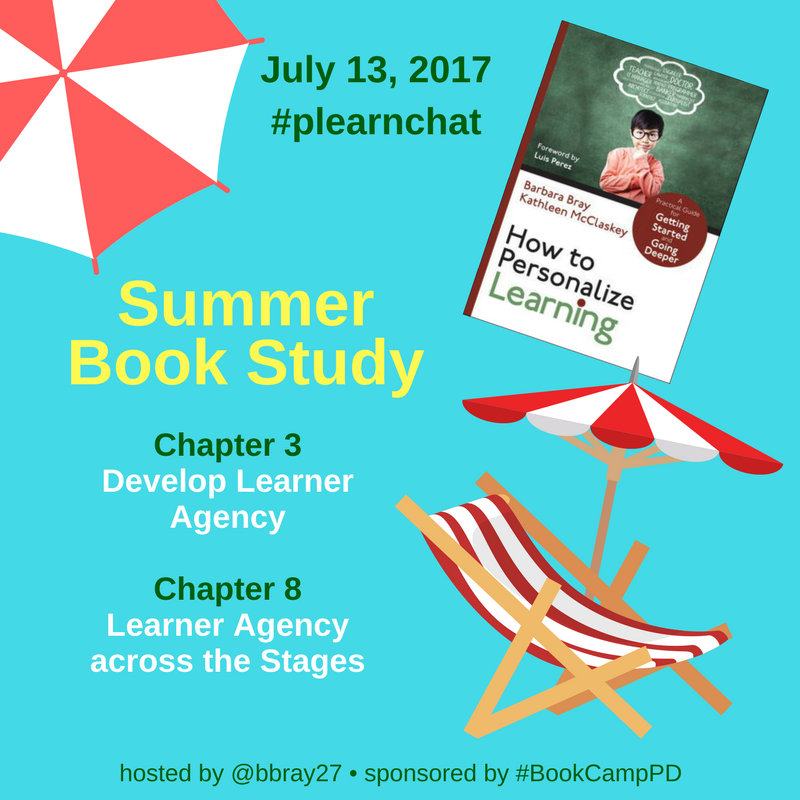 "Learners must find a topic they are passionate about. It is our job to help and support them as they focus on this passion." "Students need to feel comfortable enough in their classroom to take risks, be encouraged, and to be challenged. Cultivate relationships." 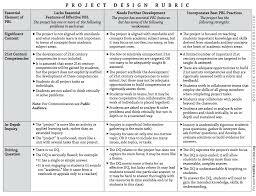 "Monitor the rubric-also does the project solve the problem in the best way - did you consider the user through design thinking." "Relationships are the key to everything! 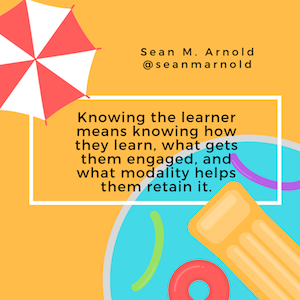 We can't teach students without them. We can't work with others without them." 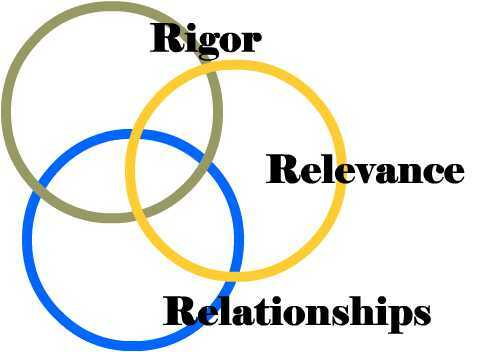 "Without relationships, teachers don't know what their students need, desire, fee, etc. Students have to know they come first." 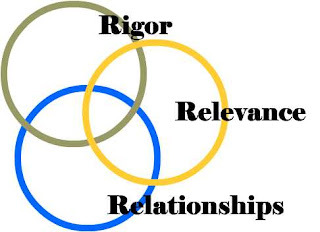 "Relationships are the glue that allows the greatest student learning. Period!" "Relationships are vital components of engagement, management, effort, attitude. I mean, what else is there? So powerful!" "Have learners attach commentary to changes they make throughout the revision process. 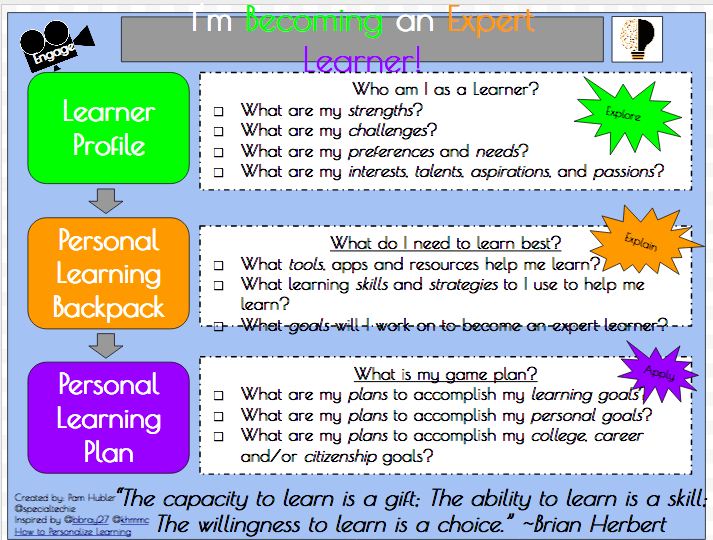 Strong metacognition practice." "Have them assess their learning! 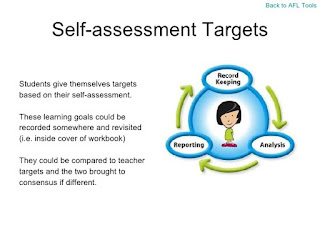 Self-assessment allows students to understand the purpose and where they match up to the learning goal!" "They can read and track feedback from (hopefully) a variety of assessments to compare with their learning goals." "Relationships are foundational and dynamic. We can't nurture something that isn't alive and growing." 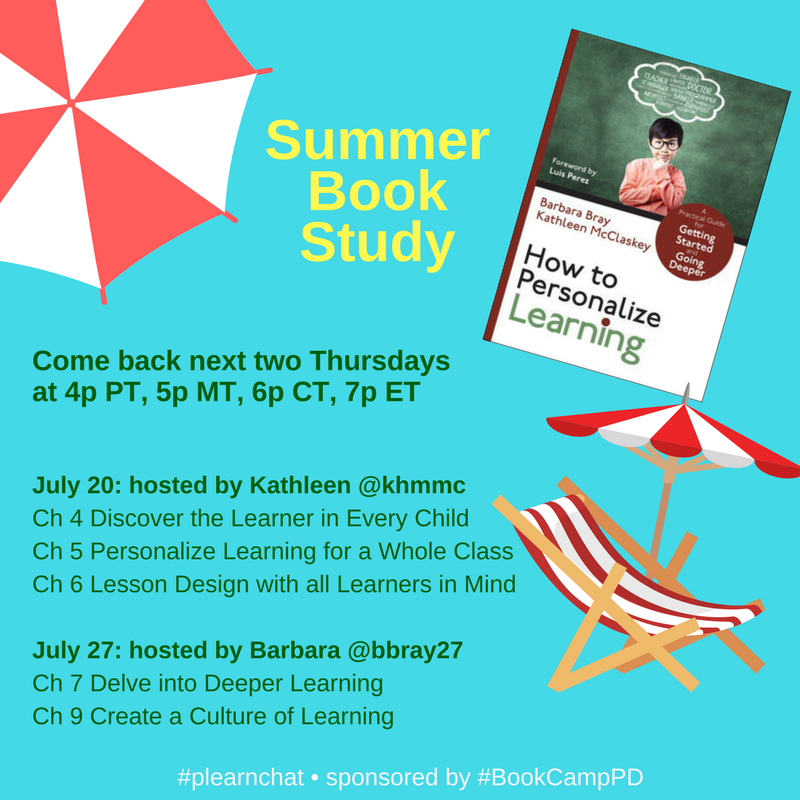 "The first month of a school must be about building community; if you don't know your students, how can you design rich experiences? If you class/course was optional, would students sign up?" "My mindset changed when I realized that everyone's light bulb goes off at a different time, and they shouldn't be penalized for this." 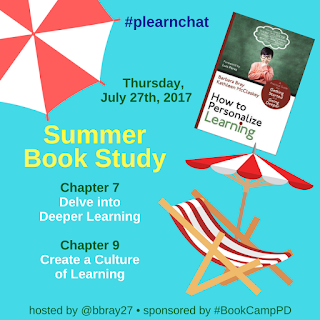 We archived the entire #plearnchat about Chapters 7 and 9 below for your convenience and as a resource. 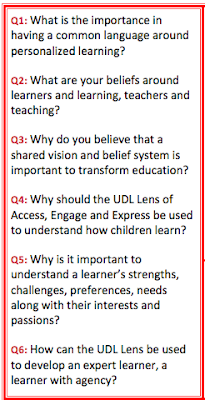 In the third session of our Summer Book Study, our conversations around Chapters 4, 5 and 6 looked closer at using the UDL Lens of Access, Engage and Express. 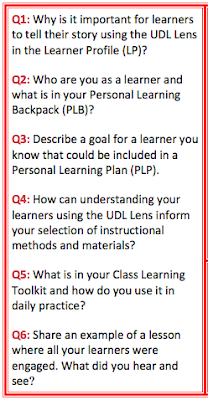 Using the UDL Lens in a three-step process that includes the Learner Profile, Personal Learning Backpack and Personal Learning Plan helps each learner tell their story and acquire the tools and skills to be independent learners. 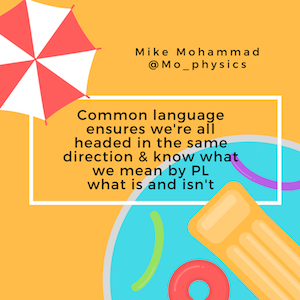 This lead us to the next conversations about how to PL for a whole class and design lessons with all learners in mind. 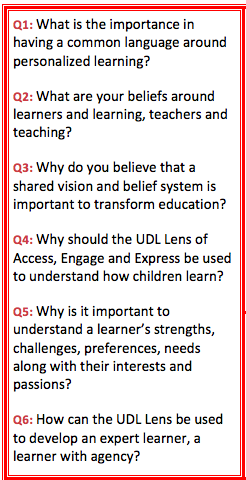 How can the UDL Lens be used to develop learner agency with all learners and to inform your daily instruction? 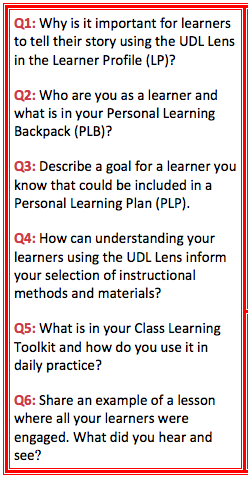 The conversations began about learners sharing their stories using the Learner Profile, what is in their Personal Learning Backpacks and what goals could be created in a Personal Learning Plan. This created a dynamic dialogue that we have shared below. From this #plearnchat, Pam Hubler created a #hyperdoc on becoming an Expert Learner. A visual of that is shared below the quotes. Enjoy! I strive for my student learning to be visible whenever possible. When I can see them learning and growing w 100% engagement! I really look to the classroom snapshot when trying to start with addressing room full of different learners. It is invaluable. 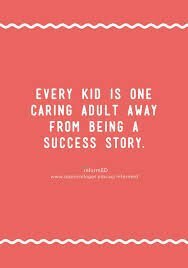 Know what your students need to be successful. Design lessons and supports with them in mind. Be flexible! 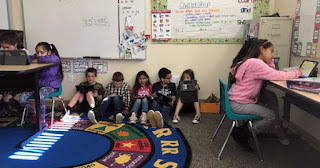 Conference w/ Ss and reflect on work. Plan together. They are more vested and understand why they are learning it. I’ve got a pretty full backpack-some cool new tools are some VR apps to help students with mobility issues have experiences. And here is the Hyperdoc created by Pam Hubler after this #plearnchat. Thank you, Pam! Join Barbara next Thursday on Chapters 7 and 9! 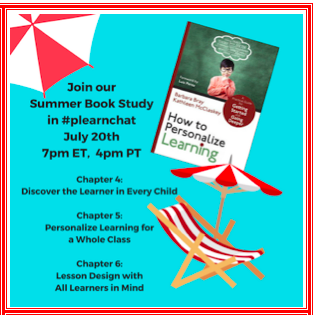 We archived the entire #plearnchat about Chapters 4, 5 and 6 below for your convenience and as a resource.